ADI is an international federation representing 78 Alzheimer’s associations around the world. The aim of the annual congress is to bring together everyone with an interest in Alzheimer’s, including carers, scientists and those suffering from dementia. In 2011, Vancouver welcomed 1,200 delegates to the ADI annual congress and 1,100 were forecast for London this year, but more than 1,600 attended. MCI’s Ben Stanley believes part of this success can be attributed to the city itself. "London has excellent transport links making it very easy to get in. There are also active local societies that helped to attract the numbers. We organised lots of smaller events throughout the year in the UK and promoted the congress at strategic events, such as a conference on Parkinson’s Disease. "We also used some social media such as Facebook and Twitter, however, because the majority of our audience is of an older generation, the old-fashioned forms of marketing worked. We emailed and mailed out brochures." "The nature of the meeting is very different to many other association events as we had around 60 delegates with dementia. Many of these delegates cannot afford to attend so we have to provide subsidies, but also break even. "We had to be really on the ball with suppliers and invoicing and we had to ensure that every step of the way that we were getting the very best deal. "To cut costs, we also used 80 volunteers to help with registrations and the exhibition. Because we weren’t dealing with professionals that are used to a conference environment, we had to conduct a pre-event briefing, as well as daily ones." Stanley continues: "To give dementia sufferers more of a voice at the conference, we created a conference programme that was designed and lead by them. There was also a quiet room, a colour-coded conference programme and signage to ensure patients were looked after. "In the middle of the exhibition hall, we created a garden with a water feature surrounded by benches to create a relaxed social environment, which became a talking point for delegates. This garden will now be reconstructed within a community garden in nearby Canning Town as part of the legacy of the event." "Anecdotal feedback so far has been positive," says Stanley. 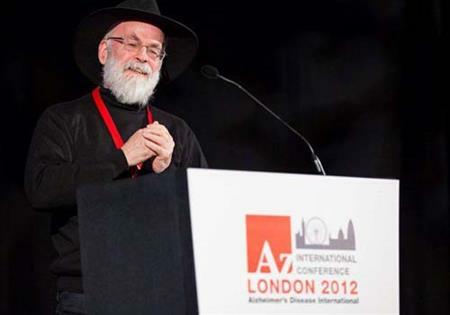 "English novelist Terry Pratchett, who announced five years ago that he has Alzheimer’s, spoke at the event, which was very well received. "Going forwards, I think we will organise the event a month later in the year as Christmas acts as a real barrier to organising such an event. It is hard getting hold of people over the Christmas period and so organisation in the first two months of the year was tight. "The ICC Excel was a great modern venue. For those who do not know London so well I would recommend they are familiar with the geography of London."